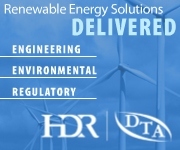 TORONTO, Ontario -- Price supports for hydropower are included in a new “feed-in tariff” program for renewable-energy producers serving Ontario. 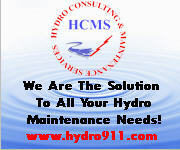 For more details, look under Hydro Headlines at www.hydroworld.com. VANCOUVER, British Columbia -- Blue Energy Canada Inc. enters the development phase of a turbine that uses the tide of the ocean to generate clean electricity. PASCHIAVO, Switzerland -- Swiss energy company Raetia Energie AG will build a 1,000-MW pumped-storage project in Switzerland. For more details, look under Pumped Storage Hydro on the Hydro Project Activity page at www.hydroworld.com. CHRISTCHURCH, New Zealand -- New Zealand’s Environment Court approves Meridian Energy’s request to use water from Lake Waitaki for a 260-MW hydropower project. For more details, look under New Development on the Project Activity page at www.hydroworld.com. QUITO, Ecuador -- Citing tough economic times, Argentina’s state-owned power company, Enarsa SA, is selling its 30-percent stake in Ecuador’s largest hydropower project. GOLDWORTH, Austria -- Bukor Elektrik Uretim A.S. awards Gugler Water Turbines Ltd. a contract to supply equipment for the 10.8-MW Darca project near Bursa, Turkey. An online tool, called HydroHelp 1, aids hydro project developers in the work of choosing the best combination of turbine and powerhouse design for a particular site. WALLA WALLA, Wash. -- The Corps of Engineers awards a $64 million contract to Andritz Hydro to rewind 10 generators at McNary Lock and Dam on Oregon’s Columbia River. A recently completed numerical model study of flow and sedimentation patterns downstream from the Smithland Locks and Dams indicates that downstream sediment accumulation should be manageable. Looking for the latest news about the attempted takeover of Canadian Hydro Developers? Check out the hydropower news and information at “Hydro Wire News” on www.hydroworld.com. Bookmark this site, check it on a regular basis, and stay informed throughout the day.